If you ever wondered how to optimize your on page factors to create relevance for your content, this tutorial highlights a few SEO techniques for using consistent naming conventions, tags, site architecture and links to enhance continuity. 1) Start with a flat site architecture using the root folder and build your main pages as the top tier of the information silo. Then for more competitive phrases, build a sub folder one off the root with your main keyword or a two word keyword-rich title (later referred to as the main-keyword-sub folder). This is ideal for deep linking when you get to the off-page factors (link building). 2) Add a site map (change the anchor text to the page to match the information below). So instead of (something general) as the title, if it is an html site map, then amend the anchor text so that the site map is pointing to the page with only the main phrase for that page as the link text / anchor (Such as Keyword Resources). 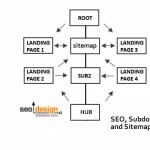 Site maps can be used for SEO other than just for spiders and building links, but that is another post in itself. 3) Use the following format for the on-page optimization. *Example: Blue Widgets by Widgets Inc. Description: Main key word /search phrase by Domain name. Or Domain name offers (main search phrase). *Example: Widgets Inc offers Blue widgets in addition to black, purple, red and green widgets. In that example, I used colors as modifiers however, you could use action words like order, purchase, need pricing, free quote, for additional information about (keyword) etc. but keep it brief under 200 characters. Optimizing the Site Architecture: www.domainame.com/main-keyword-subfolder/main-search-phrase.html (.php, asp, etc.). Note the self referral / continuity of topical use of the keywords to augment the theme. On page links: Use both the main phrase in the h1 and h2 in anchor text somewhere on the page. You can use #text anchors, if you are not that creative to jump to a particular part of the page. 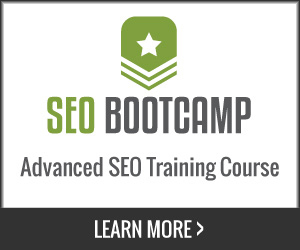 4) Create targeted SEO Copy (350-750 words) using the phrase 2-5 times. *If you are not comfortable with content creation, hire an SEO Copy Writer . I know the information may be a bit elusive, but when you put it together in practice, it makes perfect sense and reinforces on page and off page relevance by creating a self-referral loop for the information and keywords on the page. This is a basic SEO strategy but within this fundamental tactic resides immense potential to distinguish your site from the hundreds of thousands of competing sites and pages that fail to leverage on page continuity for the purpose of optimization. Search engine spiders will immediately get the gist of the structure and rank your site higher than those who omit factors such as this in their design, information or site architecture. Now, by the time you build links externally, you require less links to rank higher as a result of the on-page optimization. Great practical tips to follow for anyone, guru or novice. Thanks for the list! Great tips… glad to see you provided good examples. Sure thing. All the best Guru. 1. While using #text anchor in a page may be helpful from the usability standpoint, for external linking can be disastrous, because it will dilute the link juice. For instance, blogs that use the “…more” tag and link to yoursite.com/yourpost#comment123 are not being very effective at link flow. 2. For titles you should also take into consideration keyword rich domain match to start with. For example, if your site is bluewidgets.com, then you can start with Blue Widgets | Main Search Phrase. Plus, depending on your branding strategy, you can put your sites/company name first or at the end. Hi. I tried different software for creating the sitemap for my website. Guess what? This is the most effective one among 5-6 programs I tried. Does the job with no problems, not expensive, easy to use! 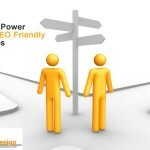 Please try ours (SEO Ultimate) at http://wordpress.org/extend/plugins/seo-ultimate/ it’s FREE.